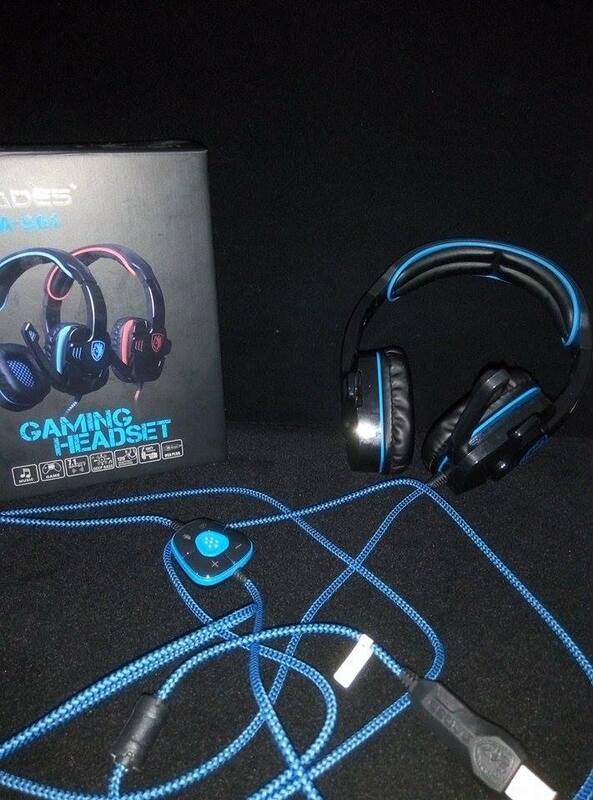 This is our review of Sades SA-901, headphones that we have received by “Gaming World”, a store that sells these type of products on Amazon. Inside the box, we found headphones and manual. The shipping has been speedy and the packaging seems to be sturdy, even this time Amazon has done a good job. 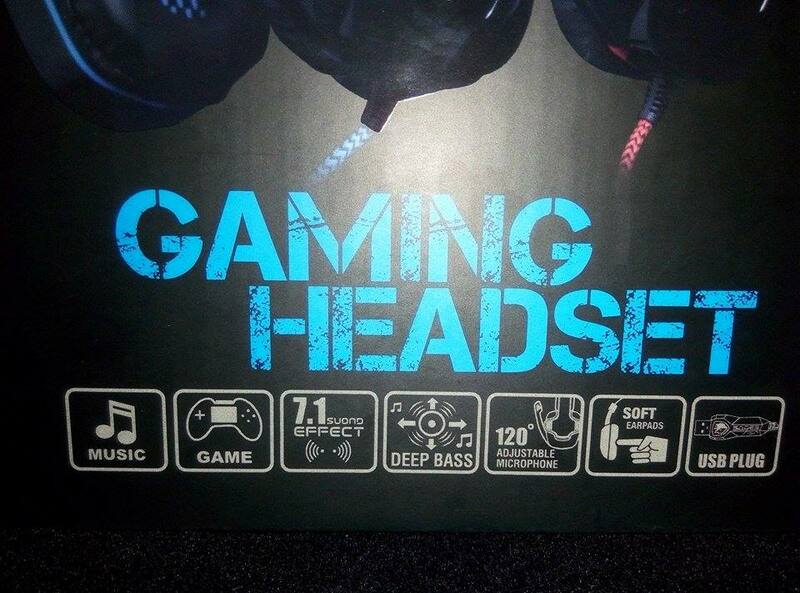 These headphone are recommended for gaming sessions and listening to music. They are designed only for PCs because of the full size USB connector. All the specifications are listed directly on the box. 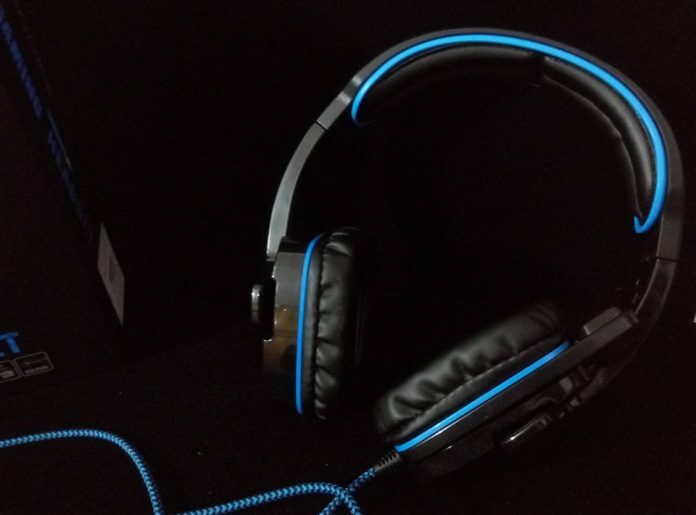 These headphones with microphone are well built, in addition they are fully made of an artificial leather, really comfortable for they’re structure. The headband of the headset is made of rubber and even the long cable is built with high quality canvas. 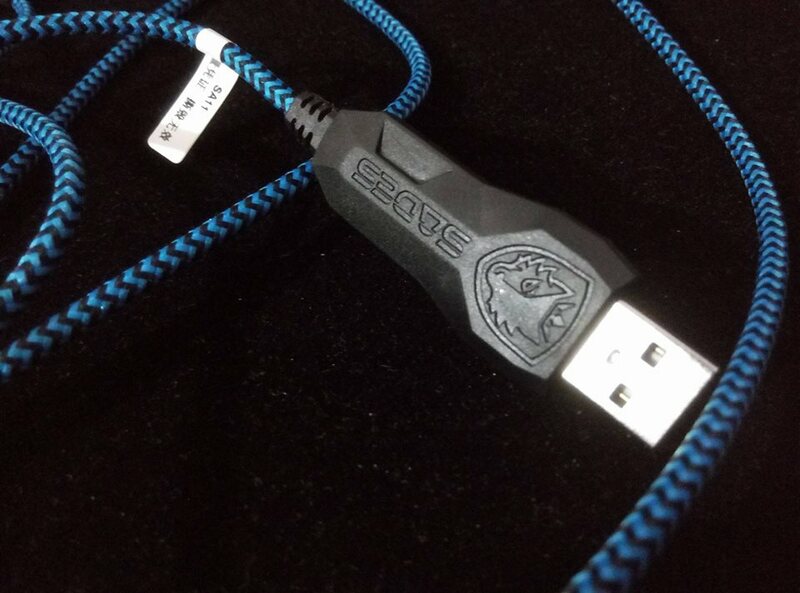 The USB is very strong and appear capable to avoid cable breakages if you pull the cable. 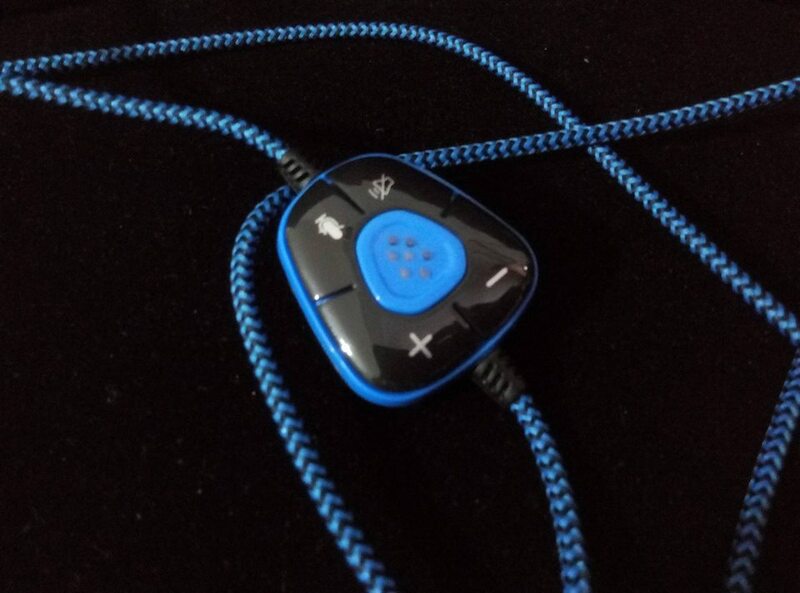 This headphone is particularly designed for co-op’s gaming, or if you like, for gameplays or vocal chatting (like Skype) because there is also microphone. We have the possibility of switch some controls by the integration of the telecontrol (a sort of small remote controller located along the wire). 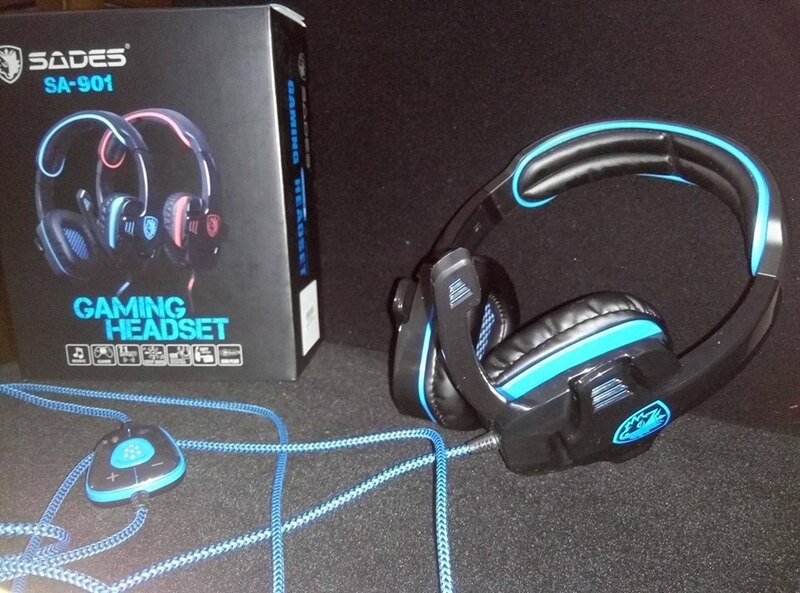 If you are thinking to use this kit with Windows 10, don’t worry about drivers and other stressful stuff, the headphones are recognised directly by Windows without any type of problem and this happen also with Linux distros. The software provided inside the CD (PulseAudio) can bring on some features to this headphones and it is simple to use. This Sades SA-901 are an interesting product that deserves to be tried. The sound power is incredible and the noise suppression works well. Moreover the price is good and the potential uses are varied. From video chats with friends until to gaming sessions or with a simpler usage like watching films or registering vocal. The integrated remote controller can enhance the user experience that we consider the main point to achieve. We’ve tested this product with our friends during skype calls and the audio felt very good, with low background noise. In the end, we’d like to recommend this product, purchasable on Amazon just for only 24€.